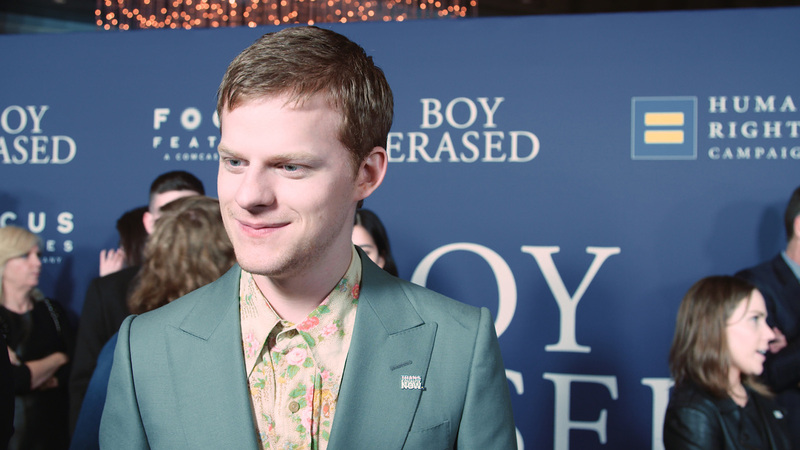 HRC teamed up with the cast of “Boy Erased” to expose the dangerous and debunked practice of “conversion therapy.” The film is a biographical drama based on Garrard Conley’s 2016 memoir. It tells the story of Jared Eamons, played by Lucas Hedges, as he struggles to find himself after being forced to take part in the abusive program. So-called "conversion therapy" is any effort to change a person's sexual orientation or gender identity. There's not only no evidence that it works, research shows it can be life-threatening. Every major medical and mental health organization has condemned the harmful practice while research shows it can lead to depression, low self-esteem, substance abuse, homelessness and even suicidal behavior for countless LGBTQ youth. A report released last week by the Family Acceptance Project found that levels of depression more than tripled—and attempted suicides nearly tripled—for LGBTQ youth who reported they were subjected to conversion therapy by caregivers, mental health providers and religious leaders. Yet, tragically, nearly 700,000 LGBTQ people have been subjected to this so-called therapy -- which is tantamount to child abuse. In addition, according to a recent report by the Williams Institute at UCLA School of Law, an estimated 20,000 LGBTQ minors in states without protections will be subjected to conversion therapy by a licensed healthcare professional if state lawmakers fail to act. HRC, National Center for Lesbian Rights (NCLR), survivors and partner organizations are leading the fight to protect LGBTQ youth from this harmful practice. Since 2012, 15 states and Washington, D.C. have enacted laws or regulations to curtail conversion therapy. Sadly, that means vulnerable kids remain at risk in the remaining 35 states. More people are taking notice and working to protect youth from “conversion therapy." Two new films out this year — “The Miseducation of Cameron Post” and “Boy Erased,” which premieres nationwide on November 16 — shine a spotlight on the experiences of LGBTQ young people who've endured this abuse. Earlier this year, HRC launched a video that went viral sharing the story of Alex Cooper, an HRC Youth Ambassador who was subjected to "conversion therapy" when she came out as a lesbian to her parents. Additionally, the creators of “Boy Erased” and Radiolab released a new podcast called “UnErased.” The multi-part series explores the origins of the abusive practice and reveals the hidden and untold stories of those who survived it in America. HRC has partnered with the NCLR and state equality groups across the nation to pass state legislation ending conversion therapy. More information on the lies and dangers of efforts to change sexual orientation or gender identity can be found here.